Recently we made a trip up to Whistler to hike and explore the village. Having had some beverages the night before, we needed something hearty. So we decided to try a ramen place in Whistler. Most people who think, "Ramen in Whistler? nah, hard pass" but I was really surprised with Ohyama Ramen. The inside is a treat to see, it's like they recreated the scene of a Japanese alley. The food was very good. Pork was awesome, soup was on point, noodles were perfect, and price was super comparable to places in Vancouver. Basic on top, the largest one possible on the bottom. I ordered the biggest one possible and Lil ordered the basic. For mine, the mushrooms were very good, marinated shiitake. Thinking about it is making me drool in hunger. 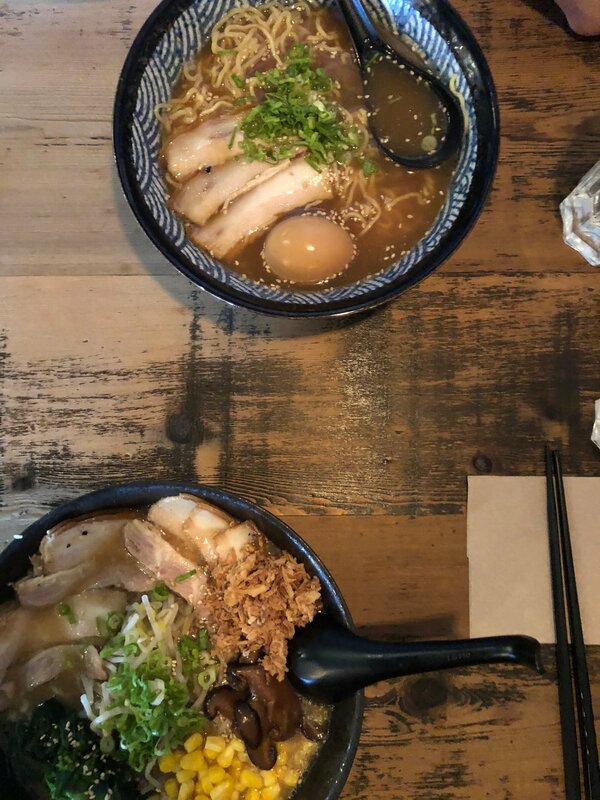 If you're in Whistler and want some Japanese cuisine without breaking the bank, check out Ohyama Ramen.